Rajasthan – The Memorable Experience Of Culture And Heritage! architecture and experience the culture. There are plenty of reasons explaining why one should visit ajasthan. Some people like to understand the traditions of the old state while others like to try out the lip-smacking Rajasthani cuisine! Some of the reasons are explained below. The state is well-known for its prestigious history, from where comes the customs and culture. Atithi Devo Bhava or respective the guests like God is one of the most important aspects of Rajasthan’s culture. Visit any part of the place, and you will be honoured in the most special way! The unique, rich, and colourful culture can be seen in their traditional art form as well. Rajasthan is a land of artists as well. Their handcrafted items such as colour art, stones work, and textiles are popular all around the world. For instance, the dye prints of the state named as Bagaru prints and Sanganer prints are quite famous. In addition to this, Jaipur’s blue pottery is another interesting handicraft from this place. Rajasthani carpentry also incorporates attention to detail work, art carvings, and bright colours too. he food describes many aspects of the state. Rajasthan has a unique cuisine to offer which is a right blend of flavors, rich spices, and aditional cooking techniques. 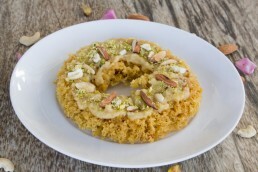 Besides spicy dishes, there are many sweet recipes originated in the state. For instance, gheriya and ghewar are delicious desserts that were born here only. When it comes to vegetarian items, dal baati churma, kachori, ker sangria, gatte ki sabzi, rajasthani pulao, and methi bajra puri are some of the most loved dishes. Some of the non-vegetarian recipes of Rajasthan are laal maas, mohan maas, mutton banjara, aloo ghosht, and bhuna kukda. Every tourist, irrespective of the taste, can have a great time munching on the authentic sweet and spicy recipes in the state. Every Indian festival is celebrated in Rajasthan with much pomp and show. Some of the popular religious festivals rejoiced here are Janmashtmi, Navratri, Teej, Gangaur, Holi, Diwali, and Makar Sankranti. Besides the religious festivals, there are many fairs and exhibitions held here too. For instance, Pushkar festival is organized every year and participants from all around the world enjoy unique traditions of Rajasthan. Camel dance and camel race is another interesting festival organized and celebrated with high spirits in Rajasthan. The locals perform folk songs and folk dances in every colourful festival and spread the Rajasthani culture. Some well-celebrated festivals of the state are Brij Holi, Mewar festival, kite festival, Nagaur fair, summer festive and winter festive, Pushkar festival, and Teej festival. As already mentioned, Rajasthan has a prominent past. There are dozens of palaces and forts in every city in the state. Some of the popular ones are mentioned below. 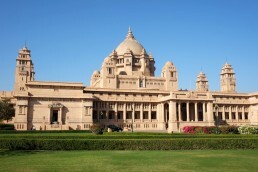 Jodhpur or the blue city – Khejarla fort, Mehrangarh Fort, and Umaid Bhawan Palace are housed in the city. There are many ancient temples as well to visit in this Gateway to Thar. 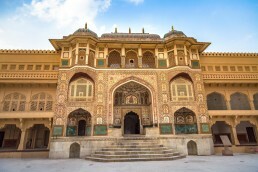 Nawalgarh – Also called as the golden city of Rajasthan, some of the best places to check out are the Poddar Haveli, Morarka Haveli, and Sheesh Mahal. Chittorgarh – Known as the pride of the state, some places that should not be missed out here are Vijay Stambh, Chittorgarh Fort, and Gau Mukh Kund. Bundi: This is the princely city of the state is famous for Badal Mahal, Moti Mahal, and Taragarh Fort. Jhunjhunu: It is one of the ancient areas of the state and the popular and historical places to visit are Rani Sati temple, Khetri palace and other havelis. Ajmer: Some exclusive historical sites to check out in Ajmer include Nareli Jain temple, Adhai Din ka Jhopra, and Ajmeri Sharif. How to travel to Rajasthan? The land of Rajputs is well-connected to all the major villages, towns, and cities of the country. There are cheap flights, luxurious flights, all classes of train travel, and even buses that can transport you to Rajasthan in a convenient and hassle-free way. Make sure to make your reservations in advance as the cost of flights increases in a quick span of time. Majority of the travelers and tourists choose flights as their travel mode because it saves a lot of time in the journey. There are many online portals which make the job of booking easy. Also, you can get excellent discounts during festivals and special occasions. Where to stay in Rajasthan? There is no dearth of accommodation places in Rajasthan. From luxury palaces and hotels to economic or budget accommodations, you can find all. Based on your requirements and financial considerations, you can plan accordingly and make the bookings. If you are looking for a lavish stay, then palaces can be the best accommodations. Nevertheless, there are three star and four-star hotels and resorts all over Rajasthan offering the best experience and stay to the guests. Irrespective of what you choose, good hospitality is guaranteed. You can pick up online portals to book your stay in advance as well. It is easy, quick, and offers no interruptions. Check for coupon codes while you are booking your accommodations as you can be rewarded with exclusive discounts as well. Have a wonderful experience of traditions and culture!